Green beans with bacon is unquestionably one of the most perfect vegetable and bacon combinations. Although, now that I’ve said that, are there any vegetables that don’t pair well with bacon? 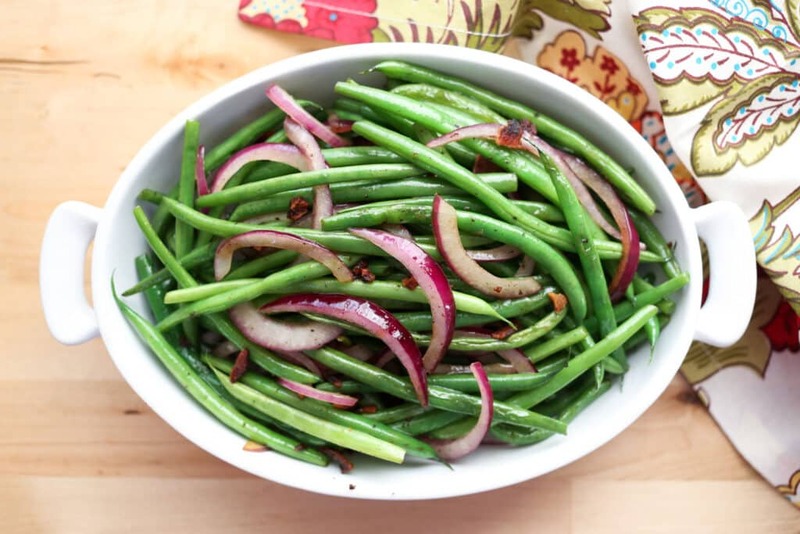 This simple skillet of green beans with bacon and onions is a definite winner. 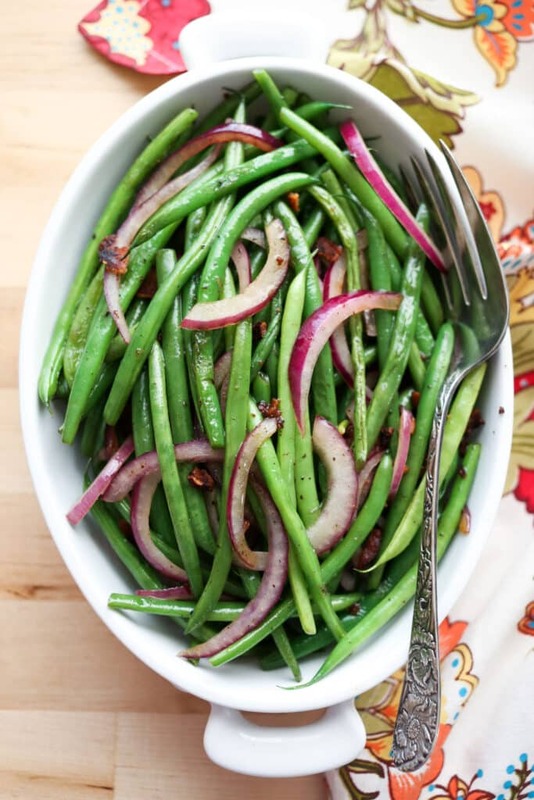 Simple Skillet Green Beans are warm and crisp, mixed with slivered red onions and bacon. Fresh green beans are one of our favorite side dishes and nine times out of ten I simply toss them in the oven to roast them. They are absolutely, positively delicious that way, but last night I wanted something a little different. I spied the bacon in the fridge and within a few minutes, I had a couple strips of that bacon sizzling on the stove. (Although, I did consider adding a full pound of bacon and calling this an indulgence instead of a vegetable side dish. So, feel free to use a liberal hand with your own bacon addition.) 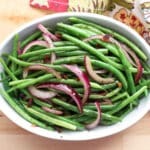 These green beans are a delicious vegetable side dish with just enough smoky bacon flavor to add something special to any meal. Most of my family gave these green beans two thumbs up. However, my youngest has recently decided that cooked green things are “not his favorite” at all. This absolutely cracks me up, because this is the child who begs for green smoothies every single day. I like to serve these green beans with Oven Roasted Crispy Chicken and Rosemary Roasted Potatoes. These green beans would also be great with this Bourbon Glazed Meatloaf or these Velvet Pork Chops. Adjust the heat to medium and add the green beans to the skillet. 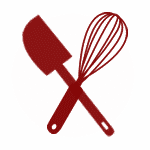 Toss with tongs or stir to coat them in the bacon grease. Sprinkle with salt (and pepper, if desired) and cover with a lid. Let the green beans cook for 2 minutes, stir and cover again. Cook 2 minutes more and stir again. Add the onions to the skillet and toss to combine. Continue cooking and stirring occasionally for 2-3 minutes, just until the beans are a tender and still a bit crisp. Chop the bacon and toss it back into the green beans. Remove from the heat and serve. Enjoy! Haricot vert are simply thin French green beans. If you are unable to find them, regular green beans will work just fine. You'll need to increase the cooking time by 1-2 minutes. The beans should be slightly tender and still have a bit of a bite to them when they are finished cooking.